Hyderabad is an upcoming city in fashion terms making its own mark. These days every other street has fashion boutiques in Hyderabad mushrooming very fastly. Only few designers are making their mark in the fashion world with their own style statement, rest all are just copycats making replicas of famous designers. Everyone has their own taste and style. I am ranking them according to my taste. Have a look of some fashion boutiques in Hyderabad according to my taste. One of the best fashion boutiques in Hyderabad. Kavitha Gutta, the lady behind Gold Threads Boutique is highly talented and also has an immense passion in reinventing the old charms. She is not only a creative designer but also draws muggu designs (kolam designs) extraordinarily. A few years ago when still Golden Threads boutique was in Banjara Hills Road No 10, she used to live in the same apartment of mine. I have seen her muggu designs. Believe me, daily morning seeing her muggu from my balcony used to be my daily routine 🙂 That was her talent. Later they moved to Jubilee Hills. Her two daughters are her muse. While she uses signature prints, opulent organic fabrics and intricate embroideries in creating stunning collections, her daughters have the talent to show off those designs in a more aesthetic way. Bhargavi Kunam is an Architect student from Osmania University, Hyderabad. But due to her passion towards textiles and fashion, she turned into a boutique designer. Her works for few Telugu films made her prominent in the Hyderabad fashion world. Her new studio in Banjara Hills Road No 12 is a must visit place as it is aesthetically designed with the distressing look of pastel colours. She is one among the few designers who are trendsetters of the age old Kanjivarams with the new modern and sensual look. Her understanding of colours and textures is intrinsic. Showcasing few of her Lehengas and Bridal Wear Collection. One of the well known fashion boutiques in Hyderabad – Anushree Reddy, a Hyderabadi is an MBA graduate from Cardiff University. She worked with “You & I” magazine, where her interest towards fashion started. She is a self-taught designer with high-end profile customers. She first showcased in Lakme Fashion Week in 2013. 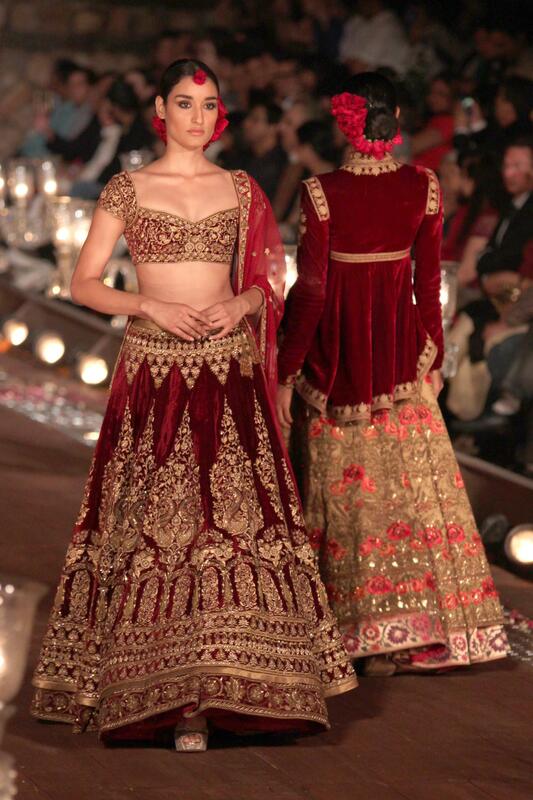 Her designs are mainly a bridal collection of lehengas and sarees which come in floral and pastel look. Come, lets have a look at few of her collection. Mrunalini Rao had the passion of fashion since her childhood, hence she choose fashion technology career in NIFT and graduated with a gold medal. She started her label in 2013. Her style of design is giving contemporary look to the Indian designs. She uses hand drawn prints on skirts, capes and crop-tops. Like Anushree Reddy, Mrunalini Rao also uses pastel colours like sea green, peach and pinks more often in her designs. Have a look at her splendid collection. Located in the busy lanes of Banjara Hills, Mugdha Art Studio is a boutique where a blend of ethnic and modern styles are maintained. The designer behind Mugdha Art Studio is Sashi Vangapalli, who recently showcased her designs in Cannes Red Carpet. They are well known for bridal wear lehengas and sarees. Ashwini Reddy is also an NIFTian by career and she did her styling course from Istituto Europeo di Design, Italy. Located in a lush area of Hyderabad, Ashwini label is famous for creating new embellishments and innovative textures. She gives a modern edge to the classic Indian Silhouettes with contemporary fabrics. IssaStudio is located in Madhapur, there is not much information provided about the designers of this boutique. But their collection is splendid. They even have an online website to purchase their clothing. Have a look at their breathtaking collection of lehengas and sarees. 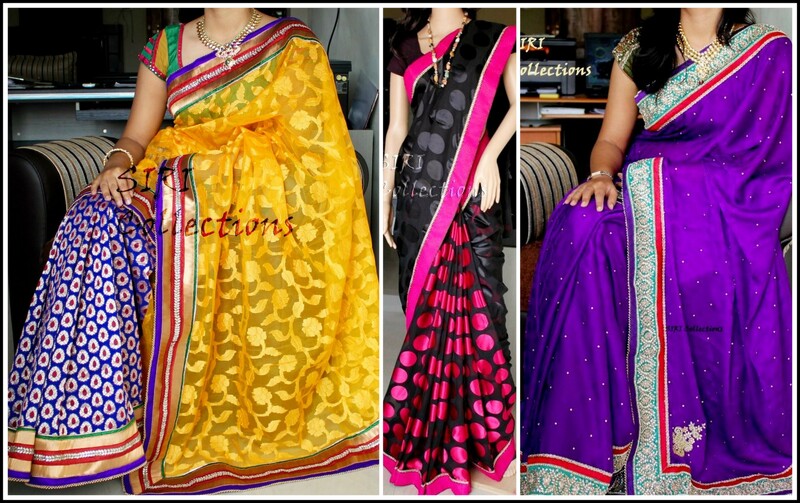 Varuna Jithesh is one of the well-known labels in Hyderabad Fashion world. Varuna Jithesh completed her B.S in Apparel Fashion Design from NIFT in 2005. The boutique is situated in Secunderabad area. The Boutique is located in Punjagutta above the famous Vasundhara Jewellers. The lady behind the boutique is Swetha Kallepu. This boutique is for trendy women’s fashion without the sticker shock (means you will not be shocked seeing the price tag, you have to visit the boutique to know how far it is true). Kanyaa Boutique clothes are simply superb. The kid’s lehengas are a must mention. Showcasing few pics from the boutique.